This week, MOM released the list of public holidays for 2020, which includes seven long weekends. LTA also announced that five North-South Line stations will close during the Vesak Day weekend (18 to 20 May) to facilitate the construction of Canberra station. Meanwhile, Minister Shanmugam said the Protection from Online Falsehoods and Manipulation Act targets only those who spread fake news deliberately. In other news, NAS building reopens after an 18-month revamp. What is your favourite hawker food? What does hawker culture mean to you? 🍲🍜☕ WATCH and LIKE this video to support #ourhawkerculture! Also pledge your support for our hawker culture at www.oursgheritage.sg. 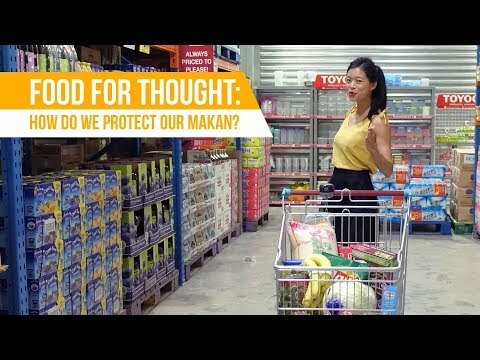 Food for thought: How do we protect our makan?